It’s been hot and dry here for the past few days. Monday evening, I was out in the yard, watering some plants and filling bird baths. Groom Swan had come to investigate just what it was that I was doing. 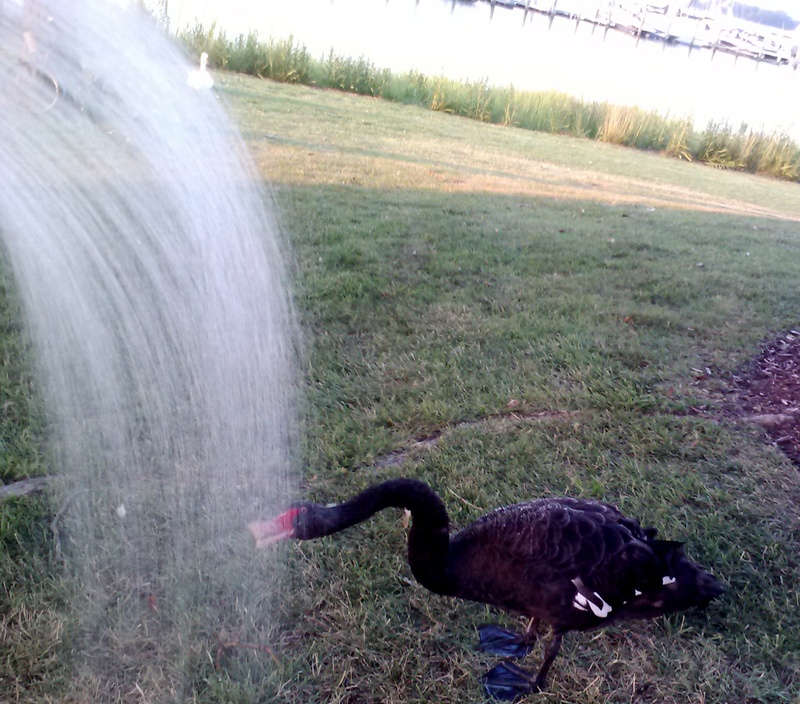 Not knowing what his reaction would be, I gently sprayed the garden hose in his direction. To my surprise, he liked it and began drinking from the spray! If you look carefully, you’ll see Bride Swan in the background. 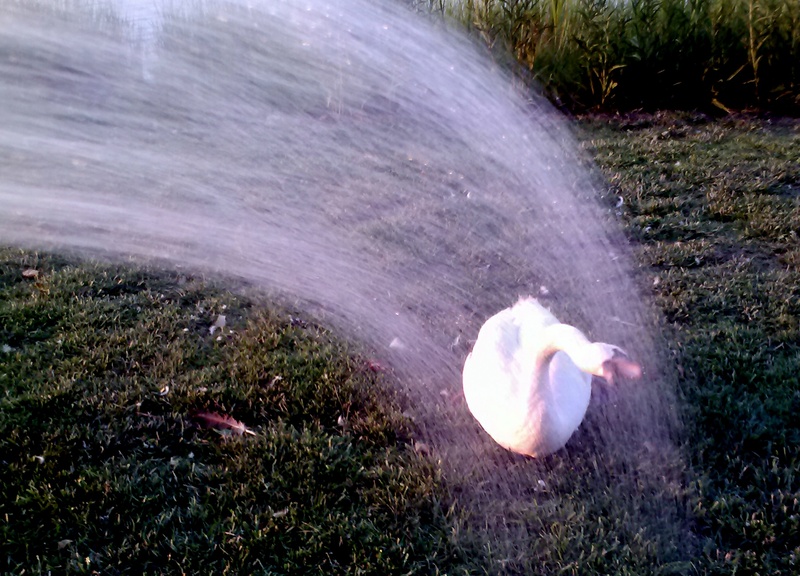 (She comes up in the yard, but doesn’t wander around like Groom Swan does.) So I took the water hose to where she was. She liked it, too. In addition to lapping at the water, they both began preening their feathers. 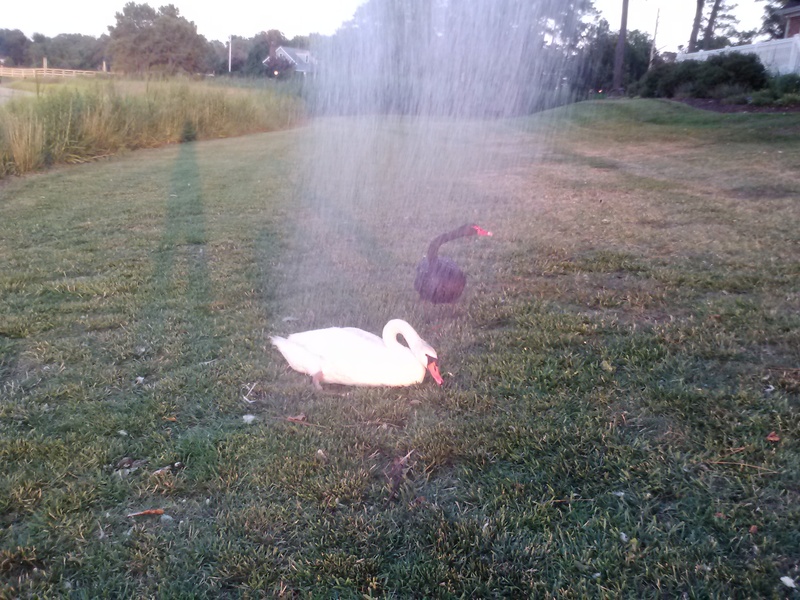 Now, in addition to watering the plants and filling the bird baths on these hot afternoons, I have another chore: helping the swans stay cool. Whatever it takes!